Did You Know? When more than one lion is at a kill, agression and noise are the norm. The more lions and the smaller the prey, the more intense the competition. Wild animals have to fight for a share of the spoils to survive. Males eat first, gorging themselves, and will on average eat 18kg (about 40lb) in one session, but can stuff themselves with nearly double that amount. 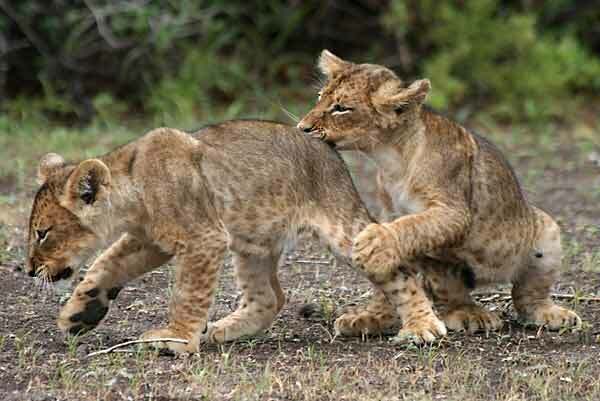 Once they're done, it's the turn of the females to eat, with the cubs getting the leftovers.